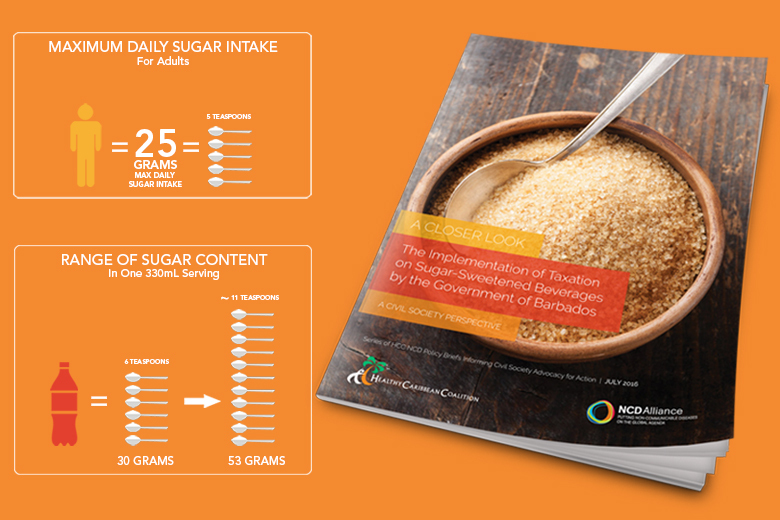 This policy brief provides an overview of the approaches used by the Barbados Ministry of Finance in the adoption of sugar-sweetened beverage (SSB) taxation. It is hoped that the target audiences will gain a greater understanding of the policy process leading to more strategic and effective advocacy for taxation on SSBs. 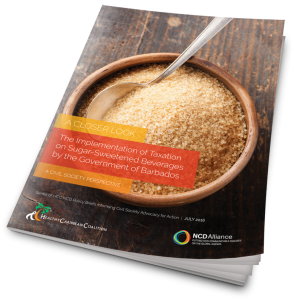 This is one of a series of briefs aimed at building the case for non-communicable disease (NCD) policy action across non-health, health-influencing government sectors in the Caribbean. The brief forms part of the Healthy Caribbean Coalition’s (HCC) ongoing NCD advocacy agenda. Against the background of a potentially crippling development crisis driven by an unchecked epidemic of NCDs; there is growing urgency for Governments to truly embrace a multisectoral, whole-of-government response to this group of diseases. The health sector alone cannot bear the burden of both treating and preventing NCDs when, to large a extent, many of the practices and policies that influence NCD risks and their order tramadol overnight social determinants rest outside of health. A ‘health’, or in this instance an ‘NCD in all policies’, approach is fundamental to a strong and effective public sector contribution to the multisectoral response. This calls for a paradigm shift wherein non-health ministries are required to think outside of their traditional spheres of operation and to systematically consider the NCD-related implications of their programmes and policies in order to improve overall population health and equity. We encourage ministries that have traditionally operated within silos to work collaboratively to ensure policy coherence. A first step is to build multisectoral awareness around the linkages between NCD risk and those sectors outside of health such as agriculture, finance, environment, trade, and transportation. Simultaneously, effective policies which mitigate NCD risk can be highlighted. 1 in 3 Barbadians is obese. Sugar-sweetened beverages are a major contributor to the obesity epidemic. View/Download the Policy Brief here.